Interior design updates include a new air-conditioner panel pattern, chrome accents introduced to door mirror and window dials as well as redesigned commander and volume controls. Exterior updates include a colour change for the 17″ alloy wheels available on the Active derivatives and a new wheel design on the 19″ alloy wheels from the Dynamic model. 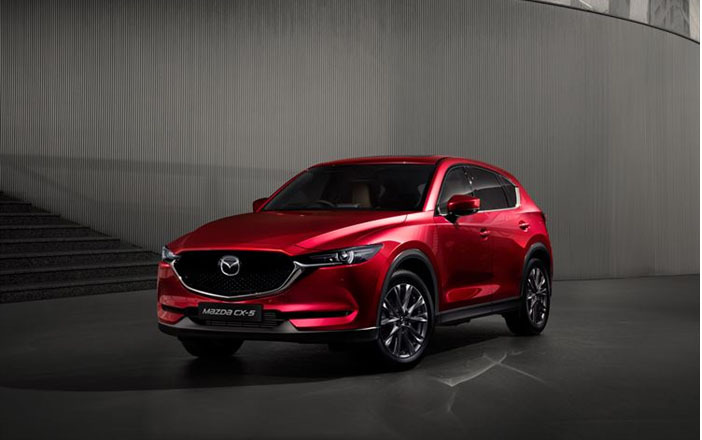 Mazda’s flagship model line-up remains unchanged with eight derivatives available on the Mazda CX-5 MY 18.5 at all Mazda Southern Africa dealerships.